This morning, a delightful piece in Forbes reminded me of one of the more interesting wrinkles in the spirits lexicon: whiskey vs. whisky. That there are two different spellings isn’t news to me, and like many bourbon nerds who also happen to write things, I know better than to include that ‘e’ when writing about Scotch—but the rules on that vary. As an aficionado of whisky and whiskey, I do have deep feelings on the usage, which is pretty much that the Times style should be changed. This isn’t a case where a small group of fanatics are insisting on some highly personal interpretation of an issue that is not adhered to by anyone outside their cult. It’s almost universally the case that the word is spelled ‘whisky’ in Scotland and Canada, and ‘whiskey’ elsewhere, and that, as you have seen, people really do care about this as an important distinction. I’d also observe that the O.E.D. points this out in its entry. So I would encourage you to adopt this distinction in the style book. I have no problem with using ‘whiskey’ as a the main generic form, if there’s no indication of location. All useful stuff. What I didn’t know, until today (thanks, Forbes!) was why. The answer: marketing and good old Irish pugnacity! In 1860, the Gladstone government passed the Spirits Act. The act allowed whisky blenders, for the first time, to create blends consisting of grain whisky and single malts. 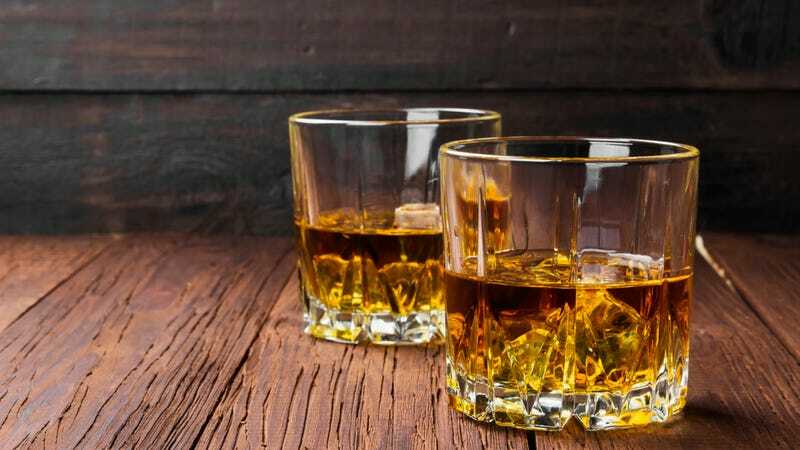 At the time, Ireland was the center of the world’s whisky production… Blending grain whisky and single malts allowed Scotch whisky blenders to create a style of whisky that was very similar to Irish whiskeys but cheaper to produce. The Scots also proved to be brilliant marketers and packagers and made steady inroads into Irish whiskey’s global market share. In response, the big four Irish distillers banded together to produce a book in 1879, denouncing the use of grain whisky in blends; arguing that such blends “cannot be whisky, and it ought not to be sold under that name.” Significantly, the book, titled Truths About Whisky, spelled whisky without an e.
After that, many Irish distillers started using whiskey to differentiate their spirits from the Scotch alternatives. After prohibition, American distilleries began to adopt the spelling in hopes of piggybacking off the enthusiasm and esteem U.S. drinkers had for the Irish stuff, and here we are.